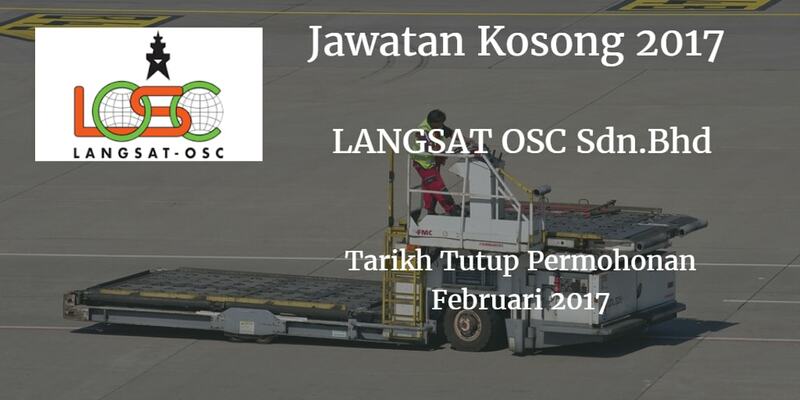 LANGSAT OSC Sdn.Bhd.mencari calon-calon yang sesuai untuk mengisi kekosongan jawatan LANGSAT OSC Sdn.Bhd.terkini 2017. 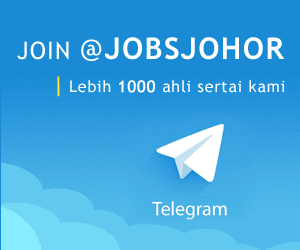 Warganegara Malaysia yang berminat bekerja di LANGSAT OSC Sdn.Bhd. dan berkelayakan dipelawa untuk memohon sekarang juga. team as well as the creation of business plans and area strategies for assigned territorv. Plan. manage and evaluate logistics operations liaising with internal stakeholders. suppliers. logistics providers, transportation companies. customers and customs department. Create and implement best practice logistics principles. policies and processes across the organization to improve operational and financial performance. Deliver solutions to logistics problems while maintaining high levels of quality and service within budgetary requirements. Recommend optimal transport modes, routes or frequency and monitor service against performance criteria. Review impact of logistics changes. such as routing. shipping modes. Product volumes or carriers and report results to others. Assess and make recommendations for logistics processes changes in potential new warehouse facilities or transportation and advise cost implications and efficiency. Support continuous improvement initiatives and identity inefficiencies and cost optimization opportunities. Identify and resolve any inventory discrepancies and ensure inventory and system records are in agreement Identity savings by removing waste or unnecessary steps in the logistics procedures. Excellent understanding of legislative on import and export advanced ability to partner with trade consultant, logistics service provider to support the business requirement. Well understanding of LMW / BONDED Customs acts and procedures is a MUST. Comply with reulations and ISO requirements. Minimum Bachelor's Degree in Business Administration. Logistic or Supply Chain Management. 5-lO years proven working experience as a Logistic Managerial. with records of successful distribution and logistics management skill. Demonstrable ability to lead and manage staff. Excellent analytical. problem solving and organizational skills. Ability to work independently and handle multiple tasks. Good communication skill and computer literate. Resolve any arising problems or complaints. Supervise. coach and train logistics workforce. Maintain metrics and analyses data to assess performance and implement improvements. Last submission is 15 th of Feb 2017.